After a brief sojourn in Budapest, we hit the long and not so dusty road (ok…it was via train with a seat numbering system that would defy the greatest of mathematicians!) into Serbia and a region racked by modern conflict. In an area that still bares the scares, both physical and emotional, sought from two wars that split communities, comes a people borne of great history. Serbia was, for me, the least interesting country on our travels so far. This may be unkind as I guess there is always one place where perhaps fatigue from a long journey sets in. Certainly Petrovaradin fortress in Novi Sad offered views over the country’s second city, and when added to the architecture in the Old Town should have been more than sufficient to inspire but this was the best of Serbia for me. Belgrade disappointed apart from two ‘experiences’. 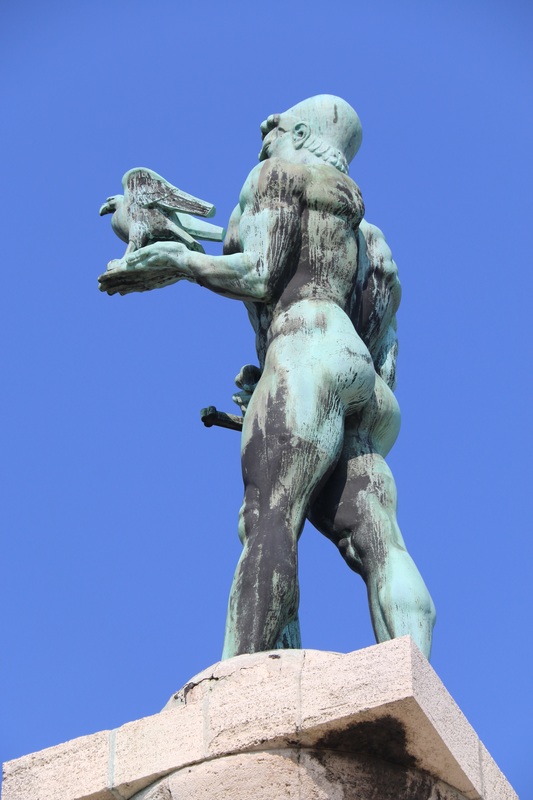 Having been given a statue (see below) from the then neighbouring Austrians with, well lets say an outstanding feature; the locals re-sited it to point at the same neighbours when they became the fiercest of enemies. The other redeeming feature was a long leisurely lunch with the best of company at a restaurant called Opera…pure joy. 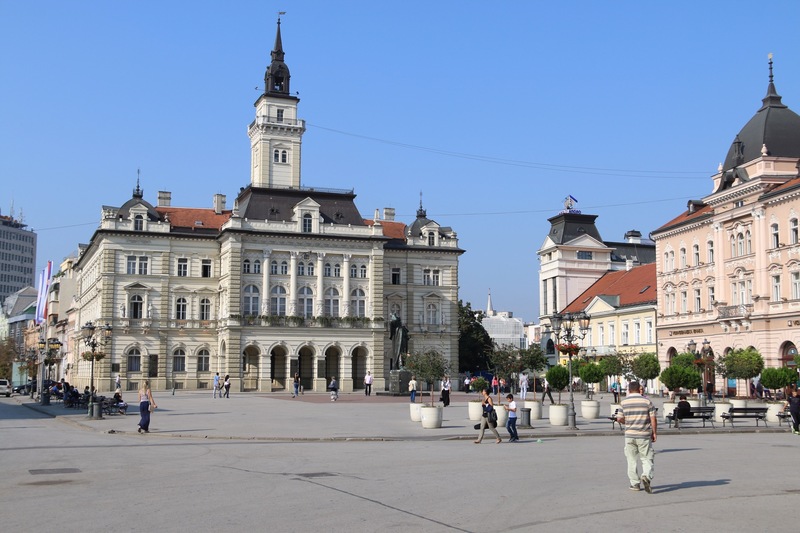 A visit to Nis, the third city found in the south of Serbia, provided little but the enthusiasm to move on. 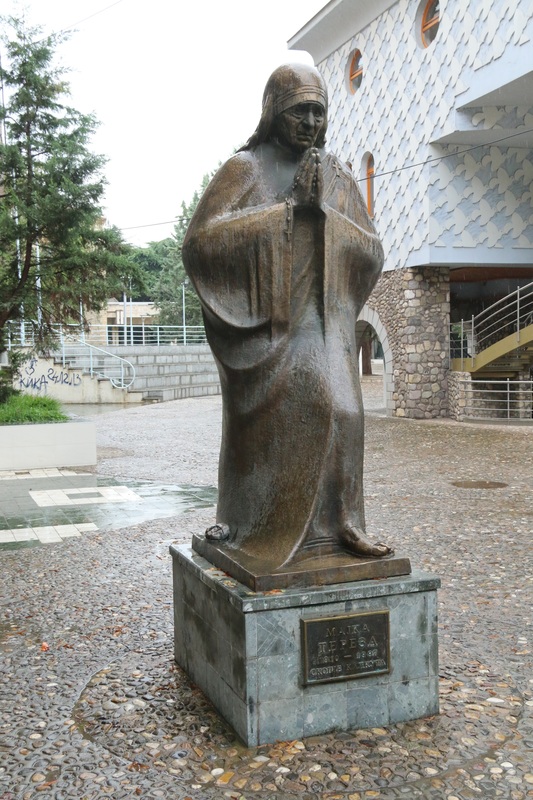 Sofia, Bulgaria – happiness reignited! A dusk/nighttime walking tour only fed the appetite for more the next day. A city with so much to see, mosques and cathmedrals, statues, fine buildings, graffiti (yes, I’m becoming a street art junkie), wide pedestrian areas offering alfresco eating…Sofia has it all. A rehearsal for something…or maybe not! A return to Bulgaria is ensured on this trip, but sadly not Sofia. 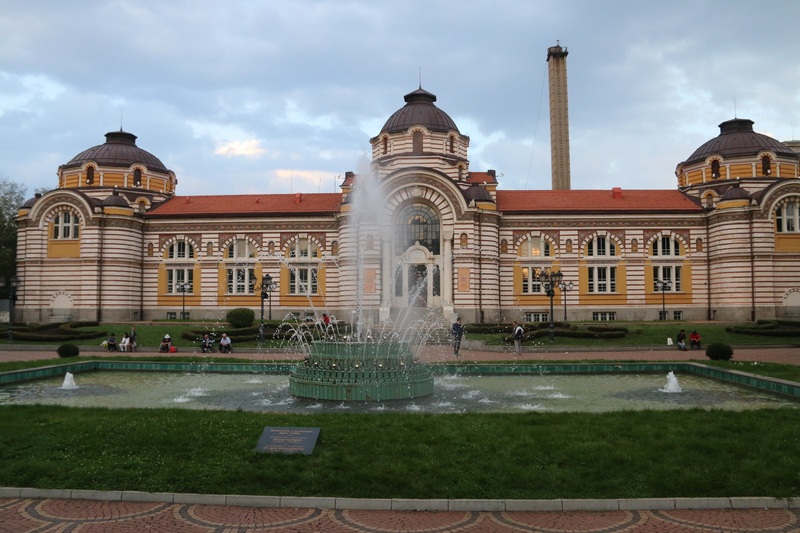 Leaving Sofia brought me to one city that had intrigued me even before my departing the UK. 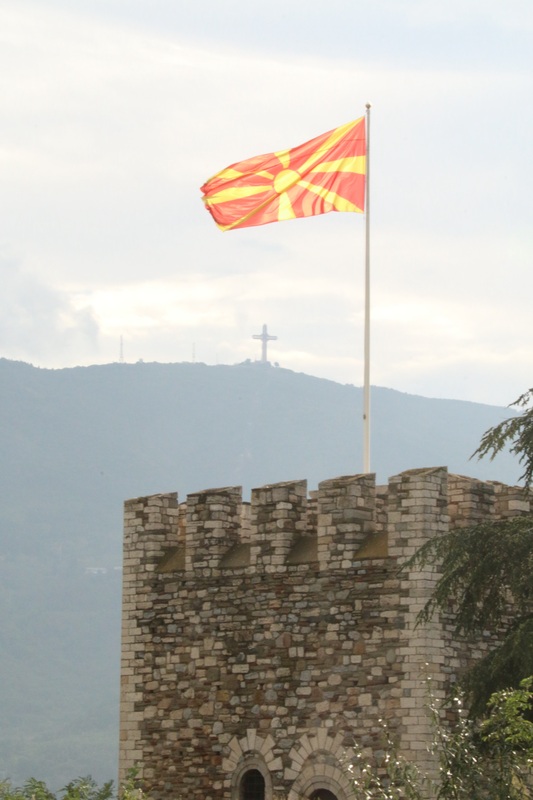 Skopje, capital of Macedonia. 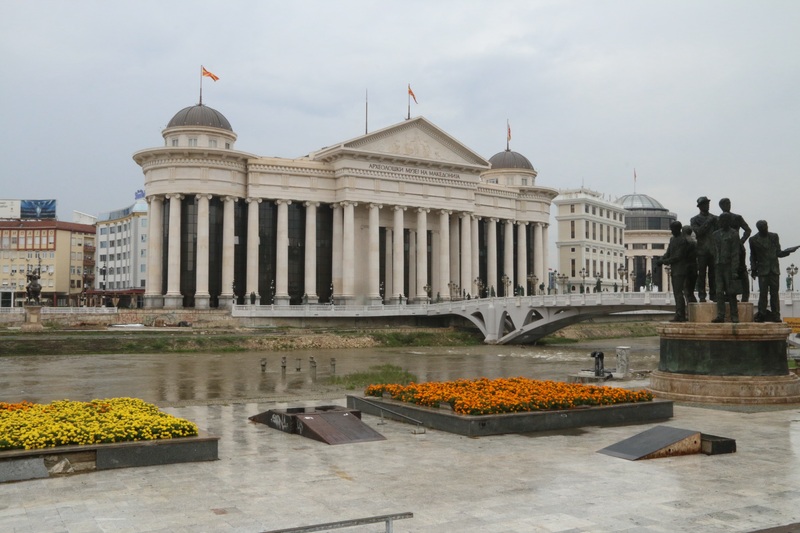 A city being ‘invigorated’ by a government keen to make Skopje a ‘happening’ place worthy of investment rather than a lesser known capital from a land that was once part of Yugoslavia. However, though admittedly in a state of construction, the architecture and numerous statues appear as a hotchpotch of eclectic random thoughts by town planners wanting to ‘make their mark’. Also the cost of such an expansive redesign must surely stretch an economy that already has a low GDP. 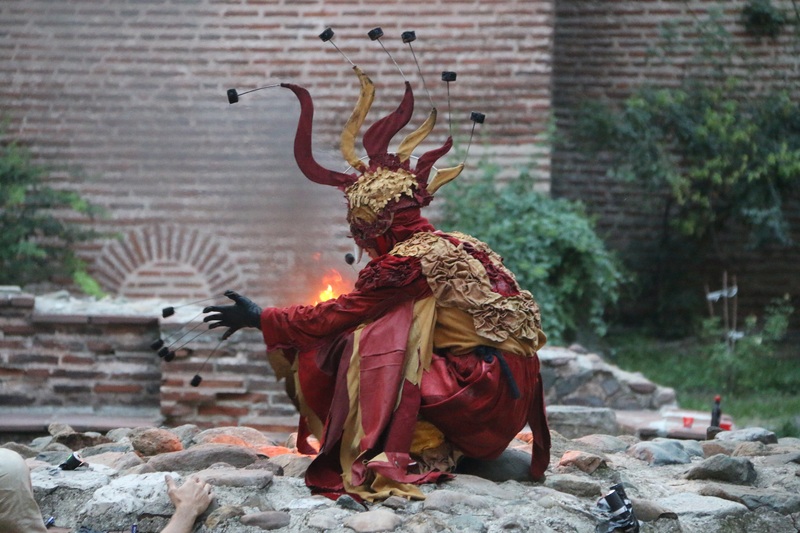 But Skopje does bring some surprises. The birthplace of both Alexander the Great and Mother Teresa of Calcutta, the city remembers both with affection. 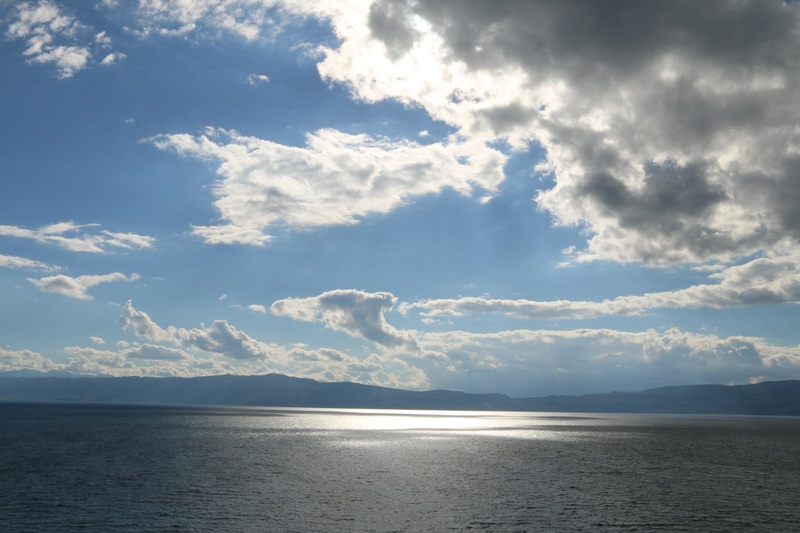 For me, the delight of Macedonia was Lake Orhid. Forming part of a natural border with Albania, it has a beautiful south-facing setting and is a popular holiday resort in high season. Now, with most of the crowds gone, it is still a warm (22C) welcoming town. And to add to the enjoyment were the local Macedonian wines. Merlot, Sauvignon Blanc, etc are all delicately exquisite and a must find when back in the UK.